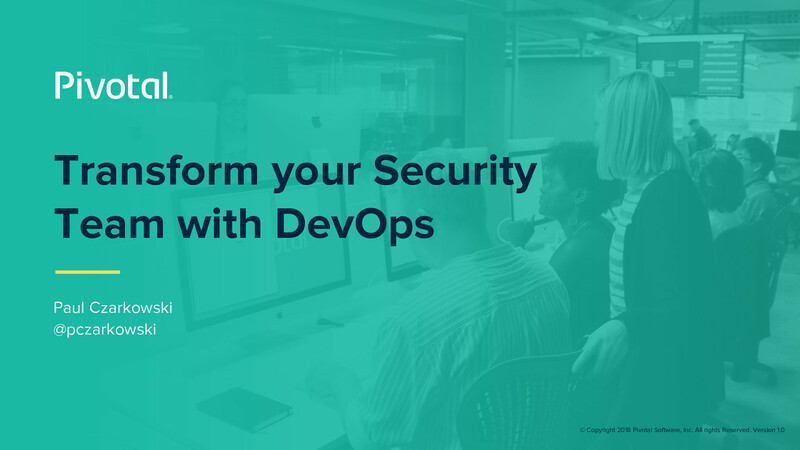 View Transform your Security Practices with DevOps on Notist. In a previous role I utilized DevOps practices to lead a major transformation of the security and auditing practices of our team taking them from failure-prone manual repetitive tasks to fully automated unicorn status. This talk will outline the changes we made both technically and culturally to transform not only the security team, but the whole organization into treating security as a design goal rather than an afterthought. You’ll leave this talk with a solid grasp of the tools and techniques needed to knock down the silos around your security team and enter a utopian world of security first engineering.